Clear soups are tasty, but if you want a thicker, heartier soup, you don't have to add flour or cornflour — you can blend part of the soup to thicken the rest of it. An immersion blender works best. If you don't have one, you can also use a potato masher or standing blender. 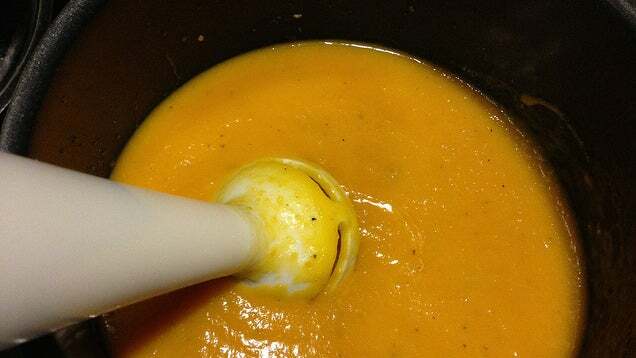 As Christine Gallary, writing on The Kitchn, points out, this technique thickens the soup without changing the flavour the way that a slurry — the opposite of a roux — would. She also warns that if your soup has bones, you should remove them before you blend. For more tips on this method, check out the full post linked below.